← #732: Where the Hell Am I? That is a sweet little set. Anything Joe for me is a must have. My personal favorite guitarists. 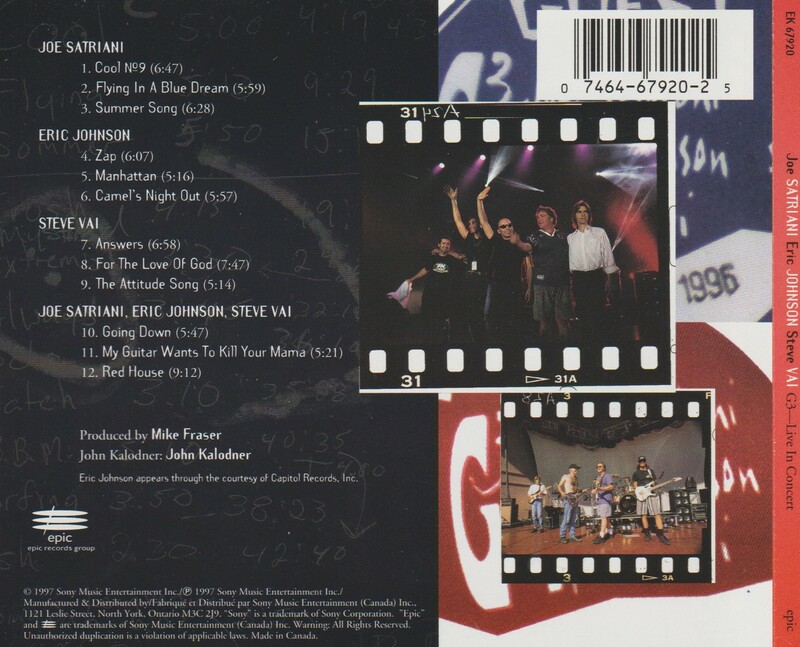 And for Vai, you know I love “For the Love of God” since I just did a post on it. Great stuff. For the Love of God is such an amazing piece. It’s more than a song — it is a composition. I’ve seen all three of these fellas live at different times. 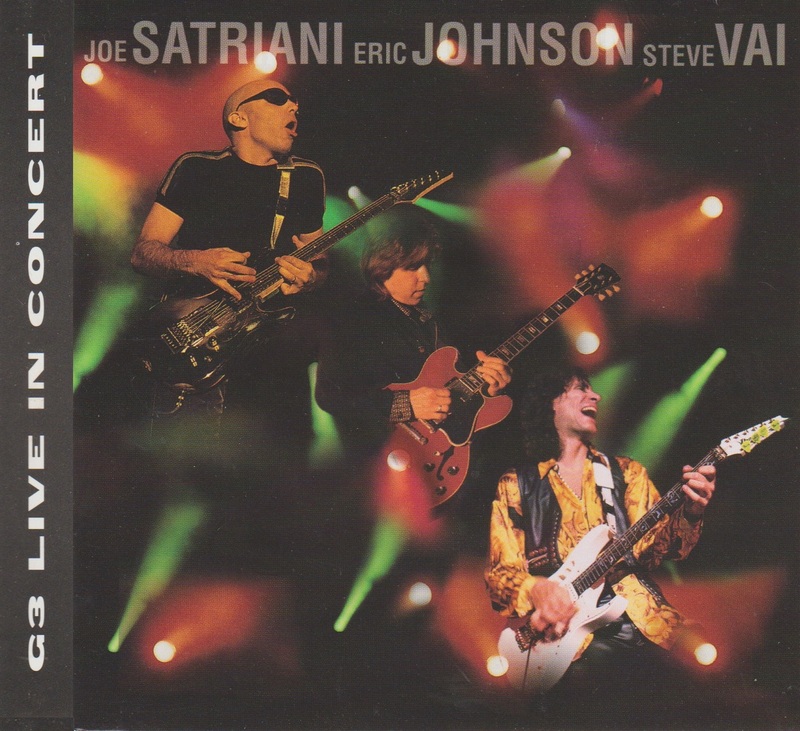 Eric Johnson opening for Rush on the ‘Roll The Bones’ tour, Joe back in 1990 for the ‘Flying’ tour, then again in 1994 promoting ‘Time Machine’, and finally I saw Vai two and a half years ago playing ‘Passion’ in its entirety. All three are absolutely amazing live. Like you, I never bought any of these G3 albums and I’m not sure why. I’m wired to love them, but I guess live albums just aren’t something I seek out. I have found myself hitting Youtube a lot lately to watch live videos of Paul Gilbert and the recent guitar tour with Nuno, Vai, Wylde, and Malmsteen. They did a live cover of “Bohemian Rhapsody” that kind of blew me away. Anyways, glad you finally snagged this one. Oh, and Joe’s self-titled I think is one of his best albums. It’s raw and gritty, and one of his best backing bands ever. Wow. Now that takes skill. Playing live while also hitting on audience members. Mad skills. Awesome comment John. Yes Joe’s self titled is really special. I don’t think he ever went back to a stripped down sound like that again. It really shocked me in 95. Yeah, it was quite a different sound for him. Didn’t Zappa hire Vai—as a transcriber? Yes 100% true. And Steve was too young to play the clubs. Frank was his mentor and Joe Satriani was his teacher! I’m not familiar with Johnson, but this sounds like a right guitar swinging treat! Hey you bought that one when we were in Taranna right? Man, those three axe slingers and only a 3.5. Interesting!